New York's first coffee house boutique. 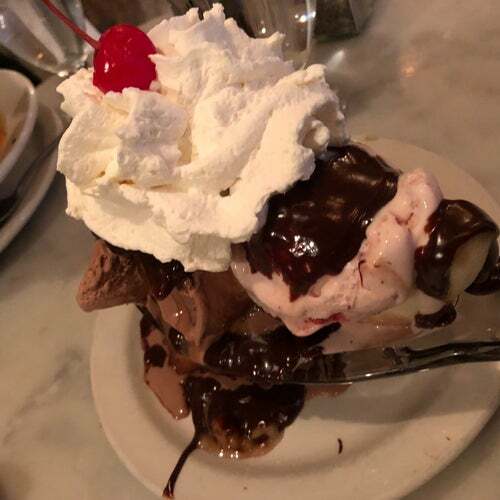 Andy Warhol once declared this his favorite sweet shop and painted it in his drawings, presidents, movie stars, and suburban housewives have all dropped by over the years, and everyone raves and raves about the frozen hot chocolate...but have you tried it? You will too. Serendipity has the potential to become a chain, but it is still a special one of a kind place, which always has a line out the door. And yes the frozen hot chocolate is very good, but it pays to have a long spoom & to come with a good friend who gets ice cream.